Vision-casting is a powerful, life-changing practice—especially when it comes to business growth. DERMAFLASH founder Dara Levy lives this mantra daily with a large vision board summoning the growth plans for her brand, renown for disrupting how we think about dermaplaning at home. A quick glance at the inspiring wall in her office, and you can’t miss an old VOGUE magazine clip featuring none other than Cassandra Grey, the founder of beauty mecca VIOLET GREY. With the tear sheet pinned at the onset of DERMAFLASH, you can say this partnership has always been written in the stars. This early manifestation has now revolutionized the way both brands deliver at-home skin exfoliation to the masses with the chic all-white DERMAFLASH 2.0 LUXE device, now available on VIOLETGREY.COM. To celebrate the launch, we had a virtual sit-down with Dara and Jayme Cyk, Beauty Director of VIOLET GREY, to chat about all things, beauty, female empowerment and, of course, dish on the details behind this serendipitous partnership which is VIOLET. CODE. APPROVED. Give us the insider scoop on the exclusive DERMAFLASH X VIOLET GREY partnership. What does it entail and how did it come about? Dara: I am so excited about our VIOLET GREY partnership. In a nutshell, we chased them until they caught us! VIOLET GREY represents the best of the best. I am a huge VIOLET GREY shopper and understand their core audience. The DERMAFLASH X VIOLET GREY retail exclusive is a stunning white device. 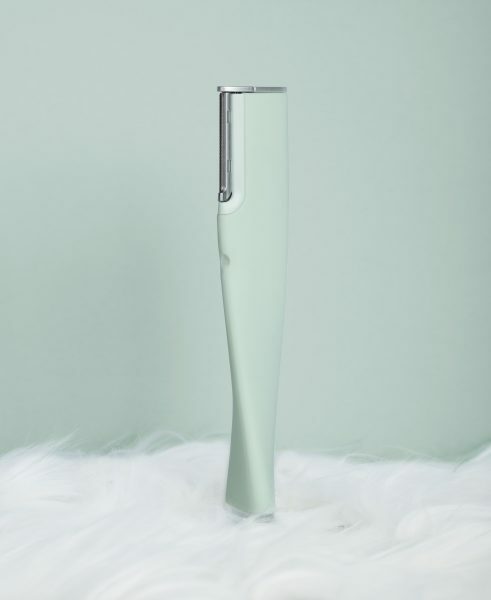 The new skin exfoliation device is chic and differentiated not only by color, but we have also paired it with an exclusive metalized silver base. Like a piece of magnificent sculpture, this new device will serve as a gorgeous addition to every discerning VIOLET GREY loyalist vanity. What makes DERMAFLASH Violet Code Approved? 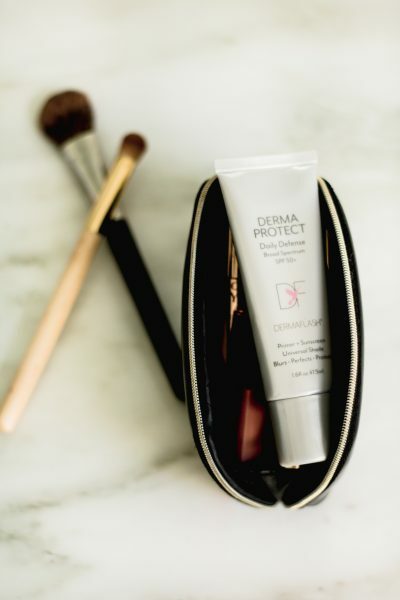 Jayme: For VIOLET GREY, it’s never enough for a product to just be “good.” But after four weeks of testing DERMAFLASH with our committee of experts, they deemed the device a kit essential. Editor’s Note: VIOLET GREY has a committee of industry experts who test products rigorously before anything is sold on VIOLET GREY. The testing process is called The Violet Code. 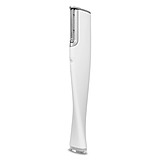 Besides being incredibly effective, DERMAFLASH’s sleek design is a must-have for displaying on your vanity. Being that VIOLET GREY only vets the best in the industry, what makes DERMAFLASH 2.0 LUXE best in class? Dara: I literally invented the at-home dermaplaning category. I owned a high end med-spa in Chicago where dermaplaning was the foundation of ALL services offered. After selling over 6,000 treatments in five years, I had an epiphany. All women desire smooth, radiant, camera-ready skin, but most do not have access to a medical spa and the cost of a single treatment is often prohibitive. How important is it for VIOLET GREY to connect with other female founders and support fellow female-founded brands? Jayme: Celebrating women is a fundamental part of VIOLET GREY’s ethos. 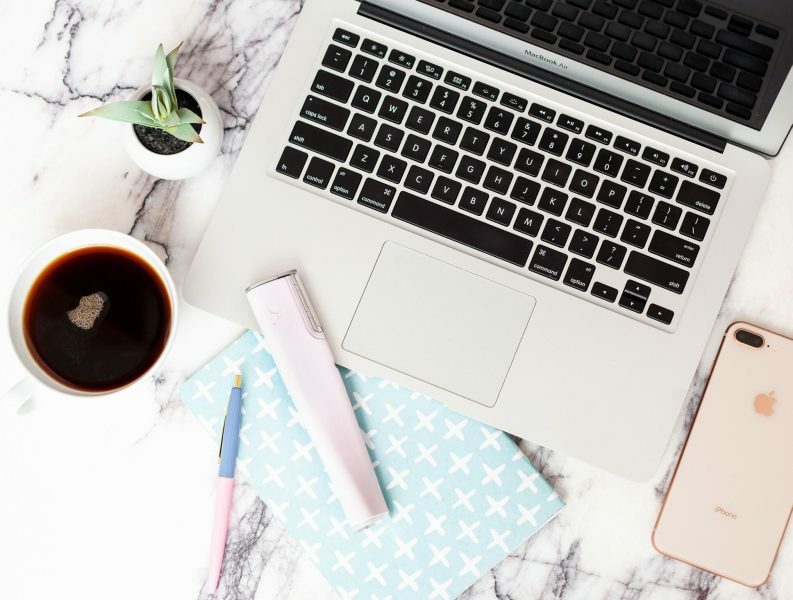 I’m constantly on the hunt for new and innovative products and brands, and hearing about everyone’s story is such an essential part of what makes a brand great. 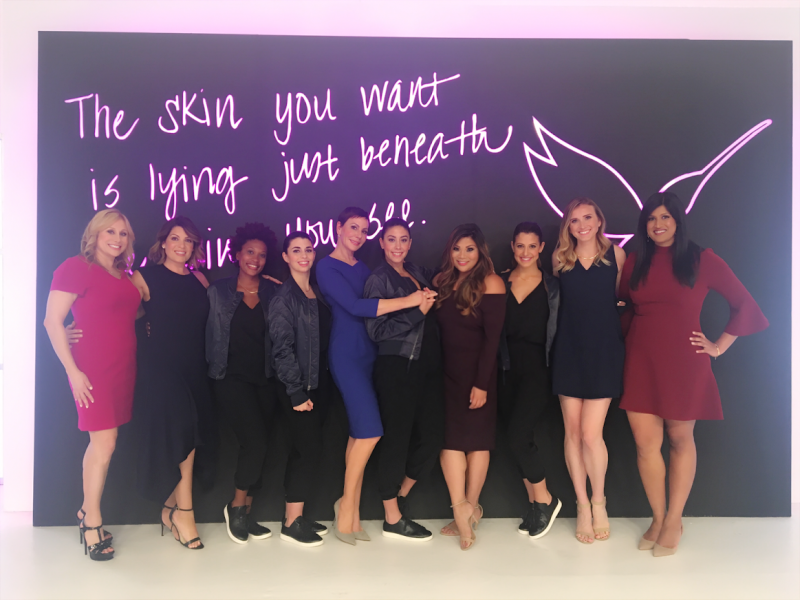 Competition is fierce in the beauty industry, but it’s important to share the lessons learned that every woman endures while building their brand. Why is DERMAFLASH 2.0 LUXE a necessary part of every beauty regime especially for VIOLET GREY devotees? Dara: Before DERMAFLASH hit the market, a women taking a blade to her face was taboo and relatively unexplored. The VIOLET GREY girl spends a fortune on both skin care and makeup. DERMAFLASH offers a superior level of exfoliation while simultaneously removing pesky peach fuzz from a woman’s face. The best part…results are immediate! When we take away the layers of dead skin cells, built up debris, and remove peach fuzz, we are erasing the barrier to product penetration. Skin care is able to do its job more effectively, and make up glides on to a flawless canvas. In fact, the top makeup artists in the world rely on DERMAFLASH to get their clients red carpet ready. We love how you vision-casted DERMAFLASH being a part of The Violet Code. What does it mean to you to retail your device at VIOLET GREY? Dara: It is a dream come true! I have had this picture on my vision board since this article ran in VOGUE years ago! I knew DERMAFLASH belonged at VIOLET GREY even before their site launched! Dara’s personal beauty routine revolved around dermaplaning for years. She fell in love with dermaplaning because of the instant results…She is not a sit-around-and-wait-for-anything-kind-of-gal! The treatment literally changed her skin, made all of her skin care products work more effectively, and also created a flawless canvas for make-up. Before opening her Med Spa in Chicago, Dara decided to make dermaplaning the foundation of all services offered at her spa and trademarked DERMAFLASH® as the name of her dermaplaning facial. Five years and 6,000 DERMAFLASH treatments later, she had an epiphany: ALL women want smooth, radiant, fuzz-free complexions, yet many do not have access to a spa that offers dermaplaning, and the cost of a single treatment is prohibitive to most. She realized an at-home solution did not exist and decided to create it. In 2016 DERMAFLASH, THE at-home sonic dermaplaning device was born. Jayme is the Beauty Director at VIOLET GREY, a content and commerce company born out of Hollywood beauty culture. As the beauty authority at the company, Jayme oversees all facets of The Violet Code including curation, beauty editorial, and VIOLET GREY’s prestigious artist committee. She was previously the Mass Market Beauty Editor at WWD from 2012 to 2015 where she reported on beauty trends and indie, prestige, and mass brand strategies, interviewed top executives and beauty brand founders, and researched and reviewed new product launches. Prior to WWD, she served as a freelance writer for publications including New York Magazine, Teen Vogue, V Magazine, and Dossier Journal. Jayme is a graduate of Parsons School of Design. I just bought a new derma flash two. How often should I use it? Once a week once a day once a month?